Everybody loves clean windows. But if you’re like most people, the idea of spending hours outside climbing ladders and fussing with storm windows or complicated screens is not your definition of fun. And even after all that work, the results are rarely worth the effort. At Daystar Cleaning and Restoration, we are happy to take care of your windows for you! We know that this is a difficult and time-consuming task, but it’s not one you have to do yourself. Our experienced window cleaning technicians will turn your dingy windows into bright and clean windows! Daystar Cleaning and Restoration provides a comprehensive window cleaning service. 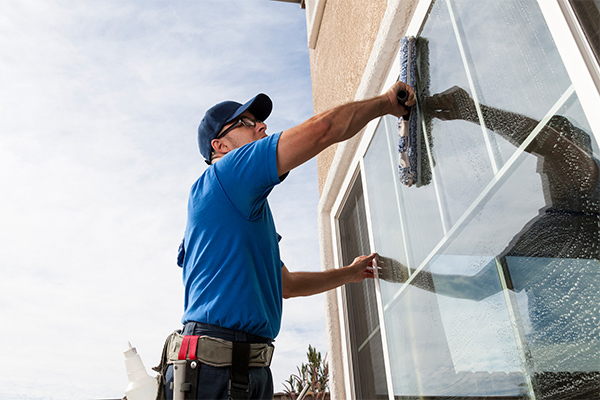 Our friendly technicians can clean both the inside and outside of your windows, as well as the frames and sills, storm windows, sliding doors and tracks, screens, and blinds. We guarantee a thorough cleaning of even your most difficult windows. We will even take extra care maneuvering about your home so we do not damage shrubs and exterior fixtures. You’ll notice the difference immediately! 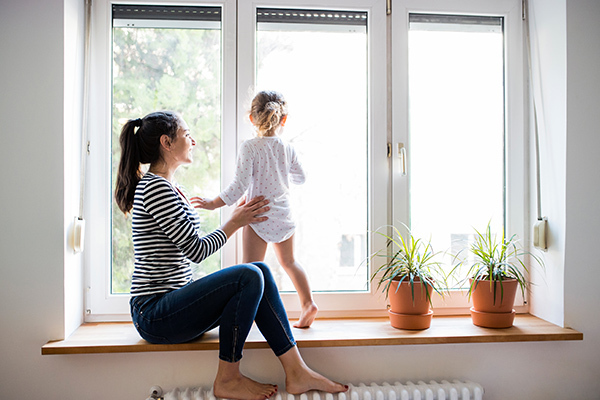 Well-cleaned windows are not scratched, and allow more light indoors, a better view of the outdoors and a fresh, clean feeling throughout your entire home. Many of our customers choose to combine our window cleaning and pressure washing services to completely clean the exterior of their home. We also offer a Gutter Cleaning Service to clear your gutters of debris to prevent water damage to your home. Contact us today to learn more!